— Mr. Malyshev, you joined the company in September 2012. What tasks were you entrusted with? — The key task was development of the Group capacity. The PDC [power delivery contract – Editor’s note] Program effective for thermal power generating companies is about to end. That is why it is really important for the Group to commence its development in other fields and to diversify its product portfolio. It would be impossible to achieve that goal by promotion into some other industry fields only. We also need to establish unions with other companies possessing expertise in the same areas, e.g. equipment suppliers, foreign engineering companies, etc. We have to both expand our market and services that we render. Among other important tasks, there are growth of profits, increase of corporate transparency, and understanding the market, prospective investors, and partners. — What exactly was done in real terms during that period of time? — In terms of operating activities, we were able to mobilize human and physical resources and to make progress in many projects. 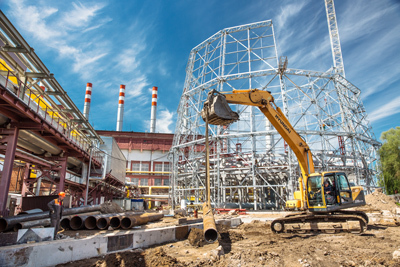 LUKOIL contracts were completed for construction of Krasnodar CHP plant’s CCGT-410, Astrakhan GRES, and boiler station. The first power unit of Nyagan GRES was introduced into the market in spite of a rather complicated project situation. A very meaningful event was conclusion of a contract with INTER RAO UES for construction of CCGT-800MW at Perm GRES. This is a large and complicated project that provides for integration into the existing circuits of the fourth power unit of the plant. What other critical tasks were performed over the period? 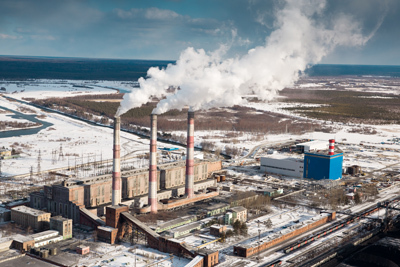 Recovery of dynamic performance required for fulfillment of current contractual obligations related to power units at Cherepovets and Serov GRES, CCGT-235MW at Izhevsk CHP plant-1, as well as Belarus project for rehabilitation of boiler shop at Zhodinskaia CHP plant-3. Today, our main task is to keep working on closing the gaps in performance of operations schedules and contractual obligations. — The Group has made a strategic decision to promote into new fields such as electrical grid and nuclear construction. What will be the future balance of those very different fields in the Group’s profits? — It is very important to determine a share of each field in our project portfolio for a long-term perspective. If we check with our objectives, it would be fair to say that we certainly wish to obtain a healthy balance to improve sustainable development of the Group. We wish to retain our competence and expertise in the heat and power sector which accounts for about 40% of our product portfolio. Besides, we are planning to increase the share of projects in the nuclear sector up to 20-30%. May I remind you that E4 Group has become the first company implementing a project of turnkey construction of the at-reactor dry storage facility for the public corporation Rosatom. There are other projects, too. The main thing is that we have the required competence to increase the number of products that we can sell on that market. The remaining part of the target order portfolio of E4 Group will have to be taken by electrical grid construction projects, transport infrastructure (construction of bridges, tunnels, etc. ), hydropower, and other industry fields projects. Those are our strategic tasks that will have to be coped with in the context of a highly competitive engineering market. Engineering market players are by definition supposed to be able to “change lanes” very quickly taking into account new circumstances so the Group must be ready for changes, be able to work under different conditions, be able to change and retrain. We do understand that by going through this battle for new market segments, the company has to become more flexible and multifunctional, more project-oriented. We need to create a system that would make sure the back office promptly accepts a new project from any field and supports it with state-of-the-art managerial solutions. We want to become a role model. — The presence of Russian EPC-companies on the global market is still very limited. Will any Russian companies emerge in the future similar to WorleyParsons or GE? — I would not say that there are no such companies in Russia at all. That’s right, we do not have such companies as GE, but we have Rosatom which is a world-class player, a leader in design services and supplies for nuclear power industry. Besides, there are certain rooms in the market where we have historically have been and will keep owning dominant positions. Right after the market-oriented economy was launched, domestic manufacturers and engineering companies have lost their competitive ability. However, today Russian manufacturers of special equipment such as Silovye mashiny [Power Machines – Translator’s note] handle it quite nicely by offering their engineering, technical and complex solutions both in Russia and abroad. Another company that is actively working on its presence expansion in other regions is RAO UES. Although it is incredibly difficult to compete with such companies as GE, we can still see a growing number of Russian companies present on that market. I think that E4 Group has the potential to consolidate its competence and expertise with equipment vendors and other major market players in order to come into the global EPC market for the thermal power sector.